For Alaina Coates (South Carolina/Irmo, S.C.) four years has made all the difference. “Well, I kind of always wanted to do the USA thing,” said Coates. “I tried out when I was younger, and I didn't make it. After that, I got asked to come back, but I declined for personal reasons. 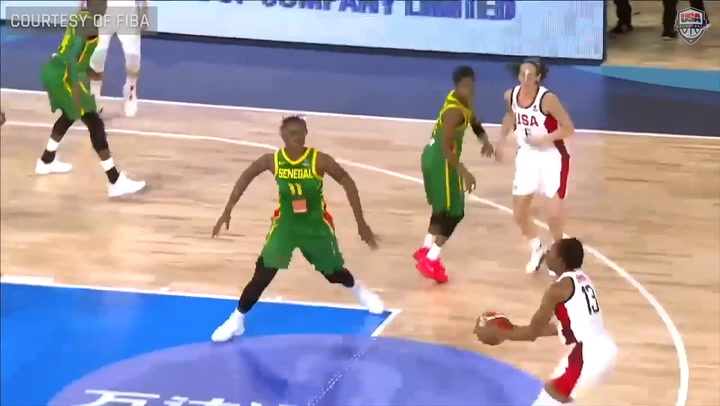 Since participating in the 2011 USA Basketball U16 National Team Trials as a high school sophomore, Coates has grown mentally and physically, which she says are the reasons she was able to earn a spot on the 2015 USA Women’s Pan American Games team. “I am not afraid to do most things that I was, like take outside shots. I am more confident with my moves under the basket. When I take outside shots, whether it goes in or goes out, I am confident with that. “My free throw shooting definitely has improved,” Coates continued. “I know when I was a senior in high school, I was great at them, then I wasn't that good towards the beginning of my season. I saw it as something that I wanted to improve on. That is something that I continue to do. Coates earned 2014 SEC Freshman of the year honors as she set a South Carolina freshman record with 73 blocks, which ranked second on the all-time single-season list, third in the SEC and seventh nationally among freshman with 2.1 blocks per game. She also set a program freshman record of 61.2 percent shooting from the field and 10-double-doubles on the season. Following her debut season, Coates averaged 11.1 points per game to help South Carolina to a 34-3 record and the NCAA Final Four as a sophomore in 2014-15. The native of Irmo, South Carolina, attributes her improved ability on the basketball court to her state of mind. While at training camp for the Pan American Games, Coates is depending upon her that strength. “You are going to get tired. The altitude is different, plus if you are not from areas like that,” Coates explained. “Coming from South Carolina, it is always hard to breathe, but I find a way to get through it. You will struggle, but you have to find a way to get thorough it. I mentally prepared myself before coming out, and I have to mentally prepare myself during. I have to say, "Okay you are going to get tired. We are going to run, but you have to get through it." According to Coates, this ability to push through is one of the many things she has earned from her head coach at South Carolina, three-time Olympian Dawn Staley. “Coach is the one that really instilled this mental toughness in my head, especially for me as a freshman when I didn't have a great process. 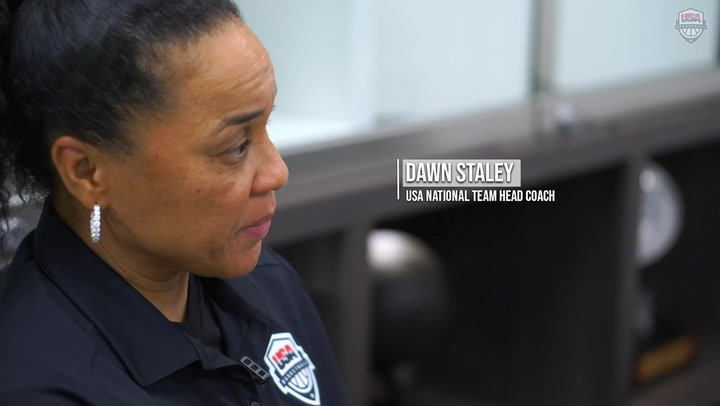 Staley, who is the head coach for the 2015 USA Basketball Women’s U19 National Team, also was at trials, as were South Carolina teammates A’ja Wilson and Tiffany Mitchell, which Coates was grateful for. Along with teammate Mitchell, Coates bought the attitude of the Gamecock gym to training camp. 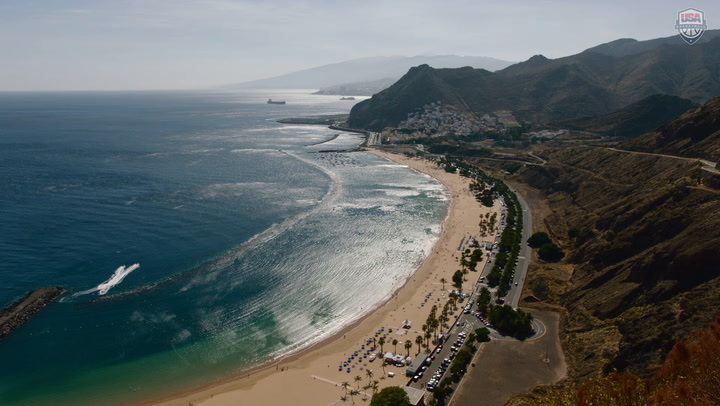 With a new state of mind and play, Coates is enthusiastic about the 2015 Pan American Games. The team departs on June 8 for the 2015 Pan American Games women’s basketball competition in Toronto, Canada, and its first game is on July 16 against Brazil. Follow Coates and the U.S. team on Twitter at #USABwpag.